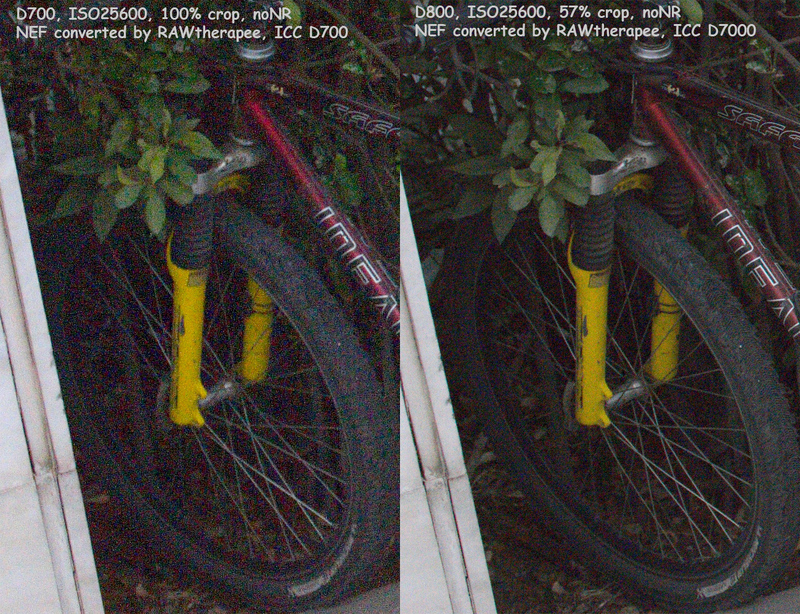 Here are some noise comparisons I have made in all ISO levels between D700 & D800 from ISO1600 to ISO 25600 with Nikkor 24-70mm f/2.8 lens at f/4. 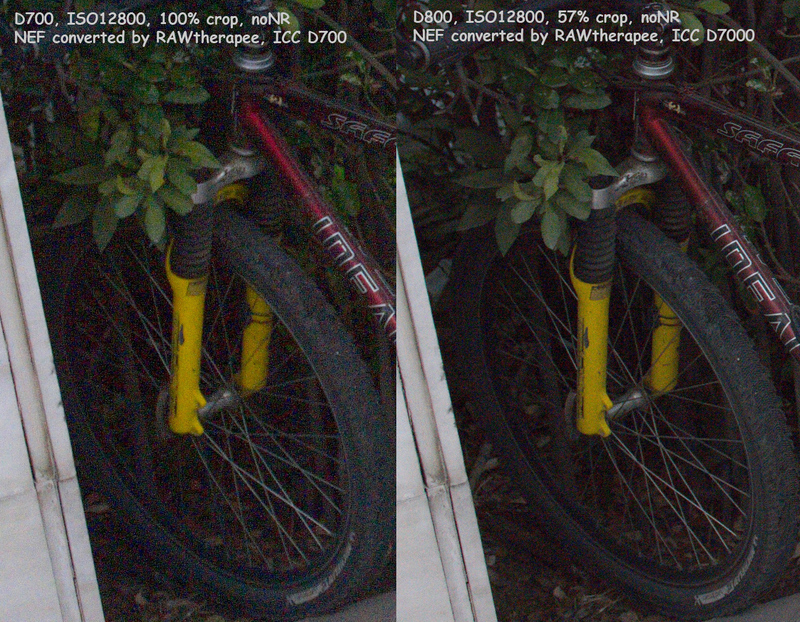 The crop area is in the almost extreme left of the frame and does not include the focus point, so it is not for resolution comparison, only for noise. 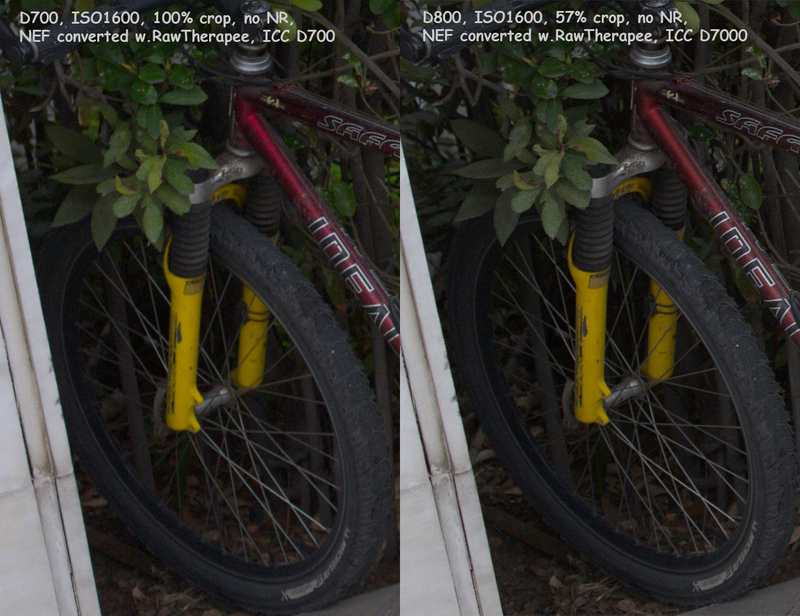 The D800 files are downsized at 57% in PS to the D700 size, then cropped to 1:1 for comparison as same size pictures. 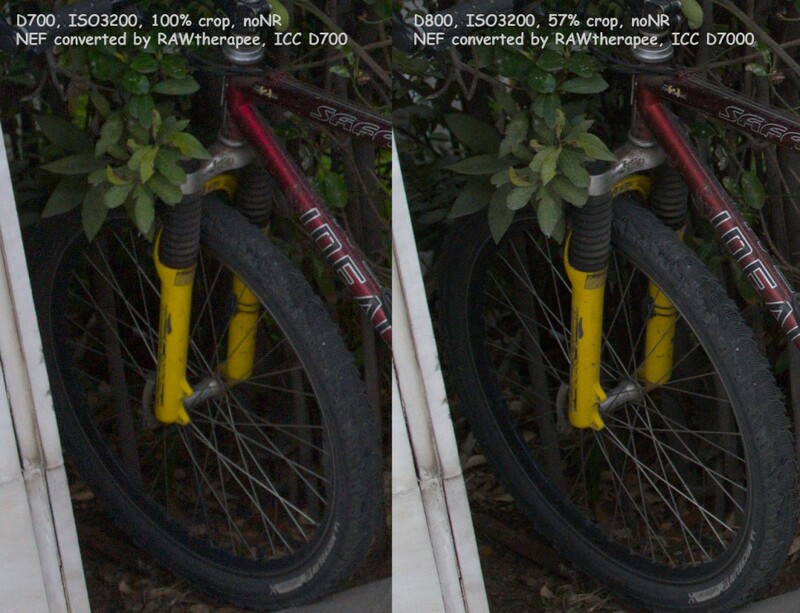 I used RAWTherapee because ViewNX uses the noise reduction settings of the cameras. 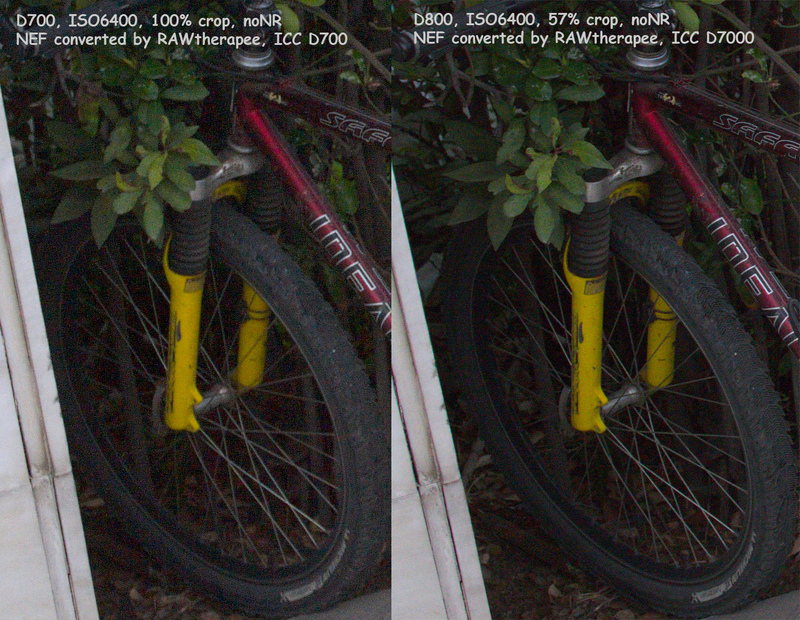 As ICC profile for D800 I have selected D7000 profile. 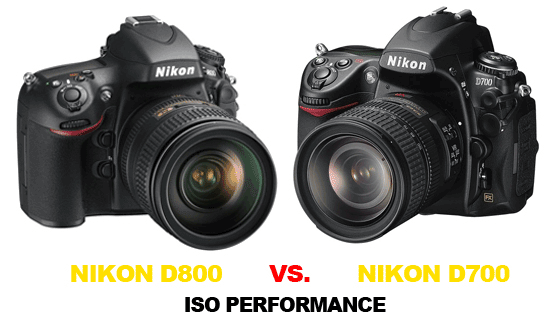 Another set of Nikon D800 samples at different ISO can be found on flickr.